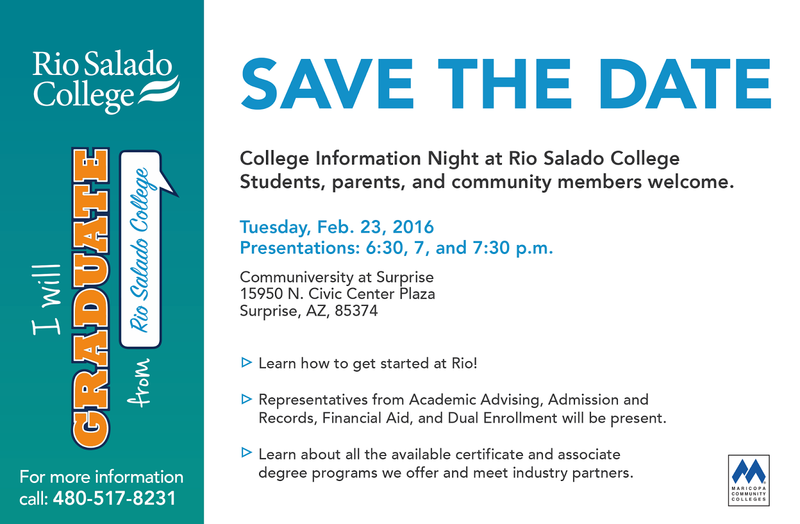 Join Rio Salado for a College Information Night at the Communiversity at Surprise, February 23, 2016! This event is ideal for teens transitioning from high school and working adults who are interested in going back to school! Representatives from Academic Advising, Admissions and Records, Financial Aid and other departments will be present to provide attendees with the information they need to get started, how to choose a major, how to secure funding... and how to succeed in college. 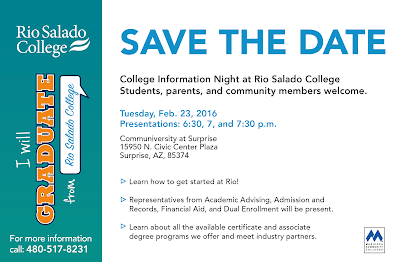 Learn about the programs and services available to you! Presentations: 6:30, 7, and 7:30 p.m.